I recently hopped over onto the Garmin bandwagon with the fenix 3 sapphire edition GPS watch last month, and was intrigued by the range of features available on Garmin watches. Since then, I have been wearing the fenix 3 with the link bracelet and it has become something of my daily watch, allowing me to receive notifications from my iPhone, track my activity (steps, calories, sleep, etc), as well as serve as a beautiful time-keeping device. The only issue I had with it was changing the straps every time I wanted to go for a run, which can be up to twice per day. This involves a process of unscrewing the link bracelet and attaching the rubber strap, because let’s face it, no one wants to be running long distances with a metal band weighting ~120 grams. As a result, I decided that the sheer beauty and convenience of the fenix 3 justified it’s price tag, and decided to keep it for: a) my daily watch b) shorter runs c) trail runs and hiking activities (due to the enhanced navigational functions). This compelled me to look to other Garmin watches to use for those daily longer runs, coming across the Garmin 920XT. 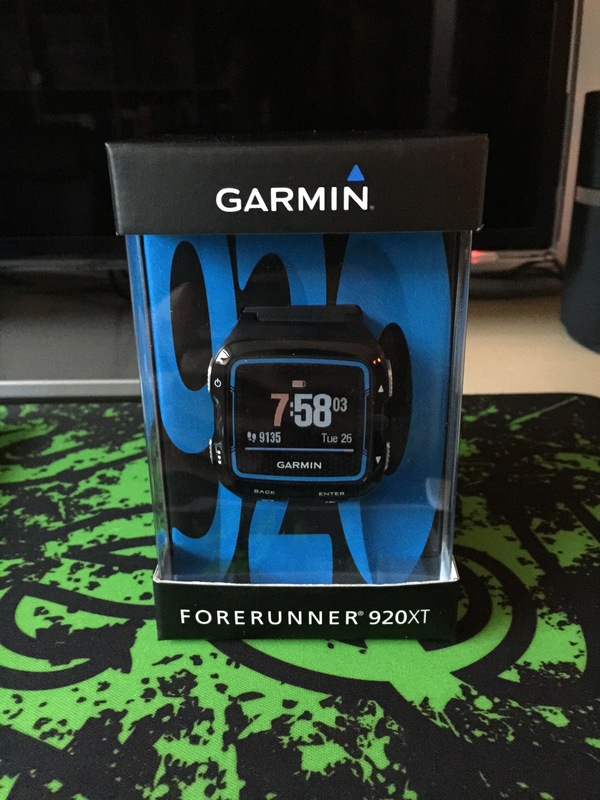 The Garmin Forerunner 920XT is a top of the range multipart GPS watch, complete with running dynamics and connected features. It features very similar software to the fenix 3, but is presented in a different format, in no small part due to the different (more square) screen shape. 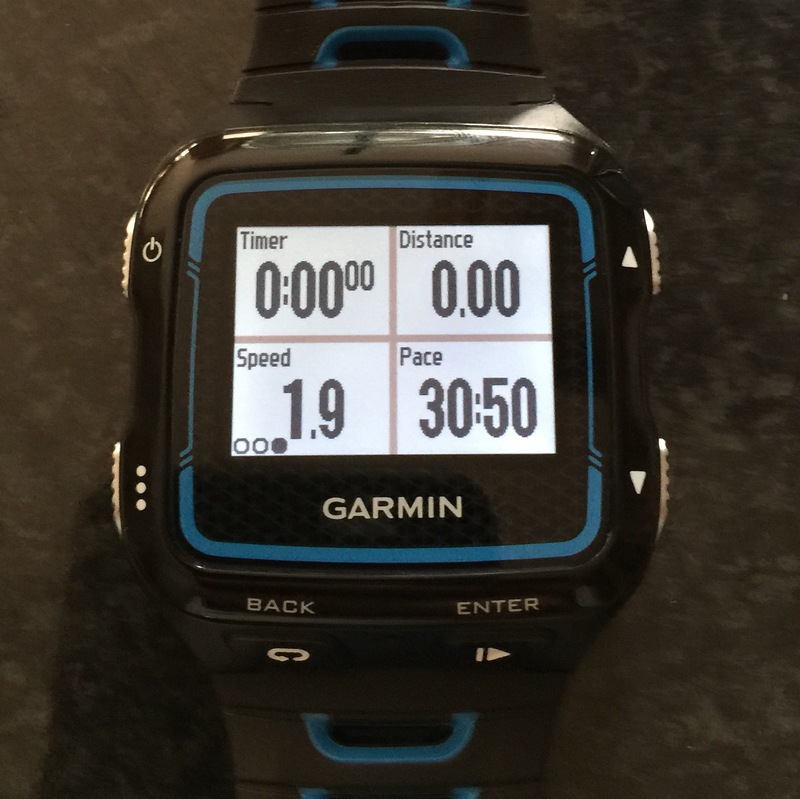 So what makes the 920XT ideal as a daily training watch? First and foremost, the weight. By just strapping the 920XT on my wrist for the very first time, I could immediately feel how light it was, not only compared to the fenix 3, but in comparison to other sports watches I had used in the past. Weighing in at a mere 61 grams, it truly is ideal for running, cycling and swimming. I did not need to purchase another heart rate monitor for my 920XT, and the one which was boxed with the fenix 3 connected without any problems. Also featuring GPS, GLONASS, high-sensitivity receiver, barometric altimeter, smart notifications, vibration alert, maps and watch functions, the 920XT is the complete package for athletes who love their features and data. Included in the box is the actual watch itself, charging cable and instructions. There is also a bundle version that includes an ANT+ heart rate monitor. As with the fenix 3, you can connect the 920XT to your wifi network and phone via bluetooth, and runs will automatically sync over to your Garmin Connect account. In my case, I have linked my Garmin Connect and Strava accounts, so run data will automatically appear in both. Menu navigation is quick and easy, although like any new device, does take some getting used to. These screens can be individually customised to show anything from 1 to 4 pieces of run data, ranging from time, distance, pace, heart rate and run metrics such as run cadence, elevation, etc. I would imagine that this will be enough to keep most runners content and engaged during their runs. For me personally, I really found it convenient to view my lap pace throughout the race, and would frequently toggle to check my average pace, just to see that I was not dropping below my target. So with the exception of the marathon (for reasons I will not digress into), the rest of the times are quite spot-on, and am confident that my 5k and 10k times will be improved upon this summer. Along with training, the 920XT also acts as a smart watch and activity tracker, connecting to your phone by bluetooth. The notification alert system worked perfectly, however, was very pale in comparison to the fenix 3. A single line appears on the top of the 920XT’s screen, and although it works fine and is handy if your phone is with you during a run, I cannot recommend using the watch as a smart watch for daily use. The activity tracker is reliable and accurate, tracking steps, calories burnt and sleep (although I primarily use my fenix 3 as an activity tracker, as Garmin Connect will only allow me to use one device for this). I know a lot of runners have been drifting between the fenix 3 and 920XT. I personally feel that there is a market where consumers may purchase both watches, although this is slightly an overkill for the vast majority of athletes. It made sense in my case, and I am sure many others may feel the same way (check the Garmin forums), but if I have to absolutely recommend one watch or the other, I would probably give the edge to the fenix 3 standard edition, as this will allow you to use the watch for both training and casual use. Unfortunately, the rubber band on the standard edition does look a little ‘too’ casual, and some users may not appreciate this, but it is still much more aesthetically pleasing than the 920XT. So, if you want a watch exclusively for training use, the 920XT is highly recommended. It does almost everything the fenix 3 does, and is both lighter and cheaper. This is going to be a subjective and arbitrary choice, highly dependent upon individual preferences, how you wish to use the watch, and of course, money. Hopefully this summary will help make that choice a little bit clearer!